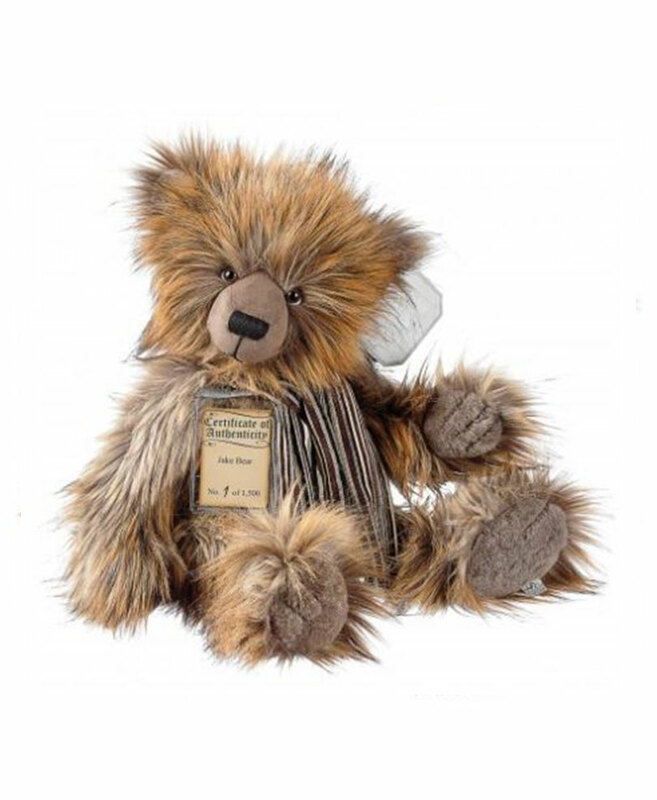 “Jake” Is made of multi-tone Soft-Luxe material, Jake has a combination of latte brown base colour with sandy brown and copper layered plush, complete with black tips. 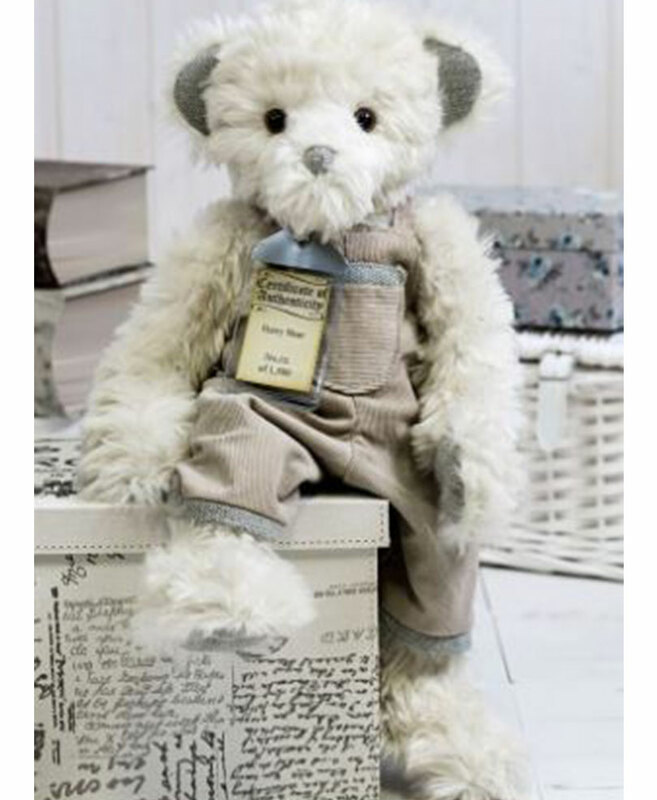 His dotted plush paw pads with toe stitching and suedette muzzle with white material underneath his eyes, gives him an endearing charm. 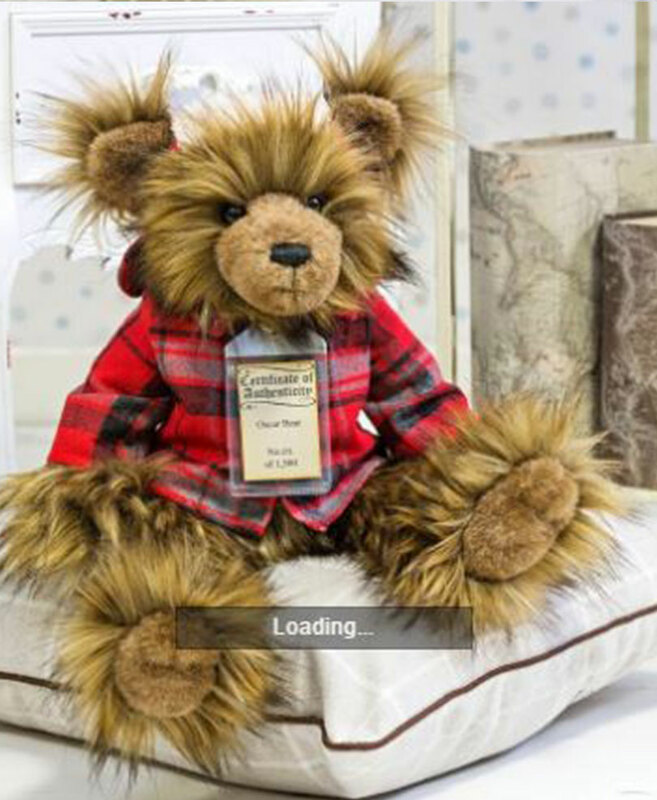 Jake is fully jointed, heavily weighted with beans and wears a striped cord material scarf around his neck. An 8 sided hang tag is attached to his left ear and an unique hand numbered Certificate of Authenticity in protective sleeve adorns his neck. 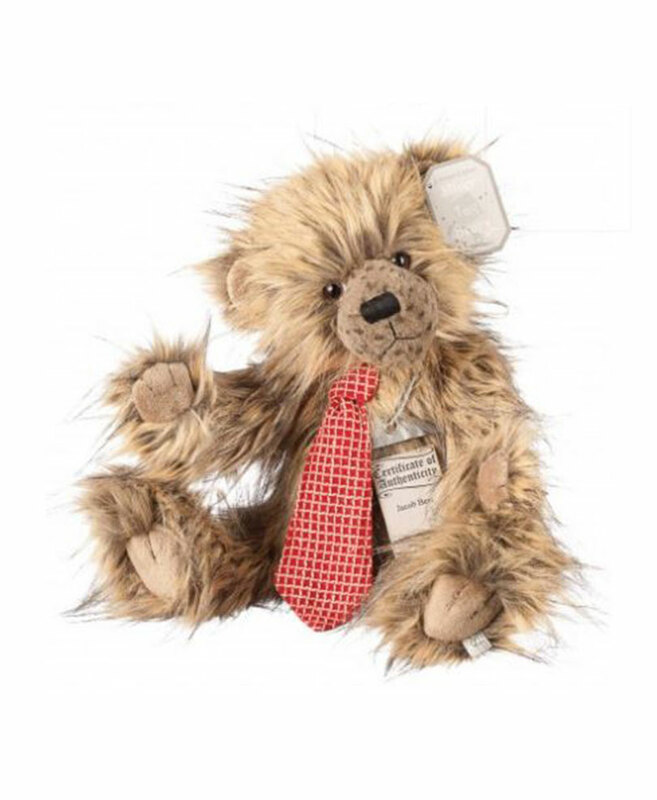 Jake can be recognised as a member of the Silver Tag® Bear family by the exclusive silver fabric tag stitched to his left foot pad. 18” (45.7cm) Limited to 1,500pcs worldwide. Gently spot clean as necessary.